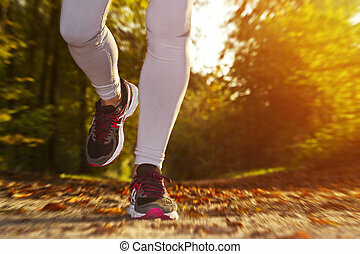 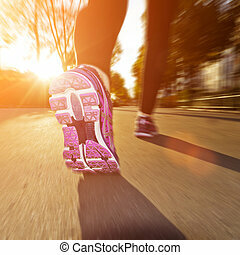 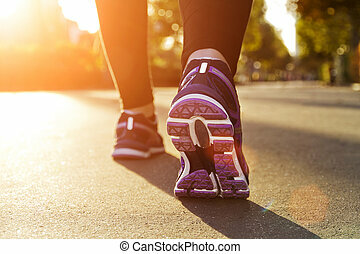 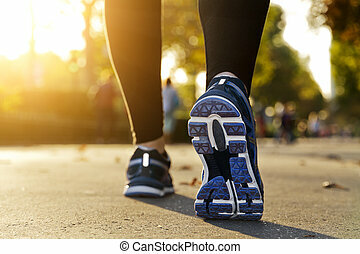 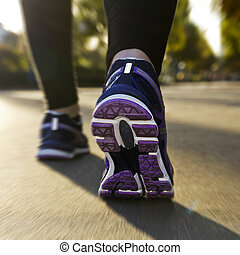 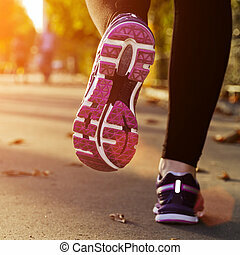 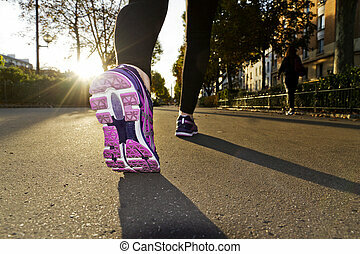 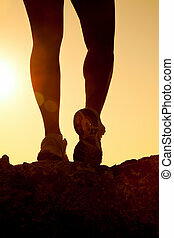 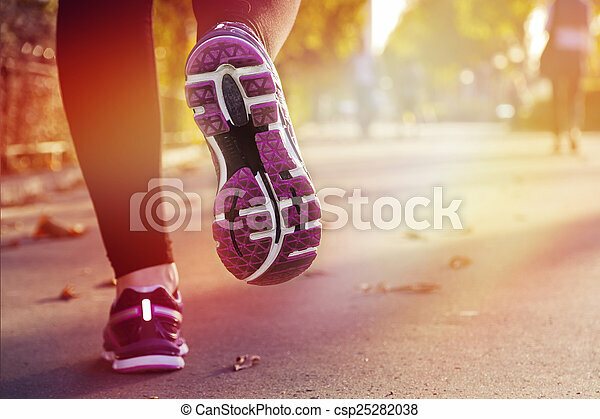 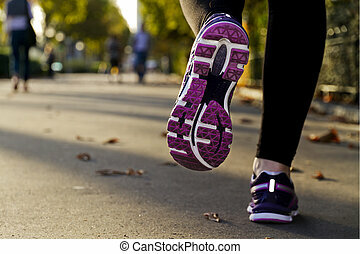 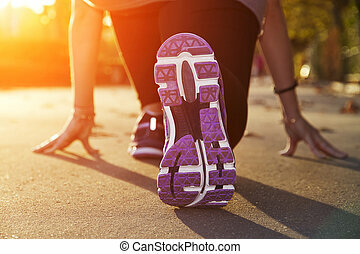 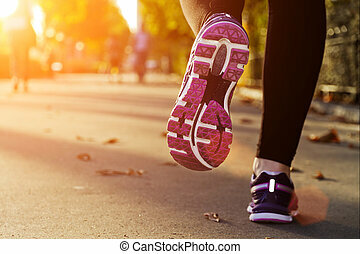 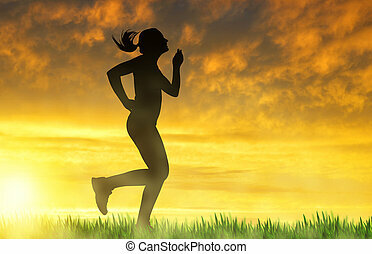 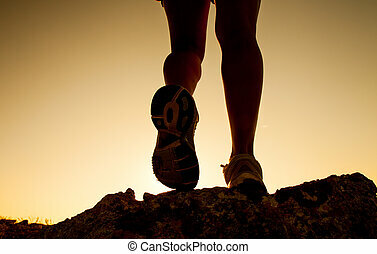 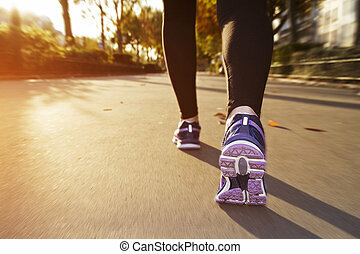 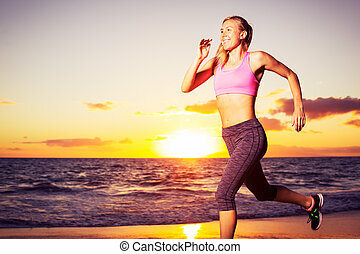 Fitness girl running at sunset in city center. 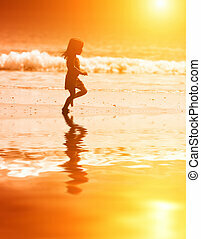 Happy little girl running at ocean beach at scenic sunset. 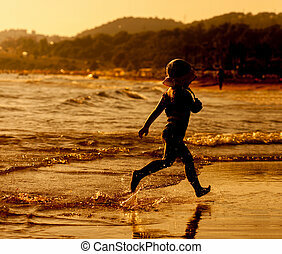 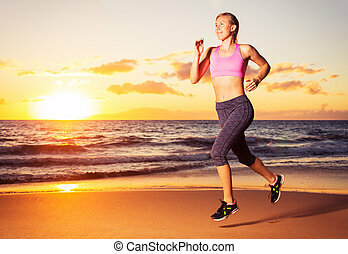 Girl running on sea beach at sunset. 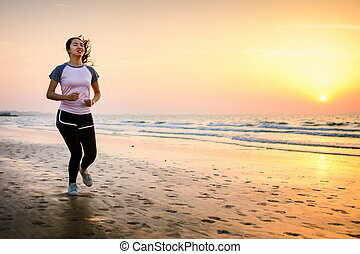 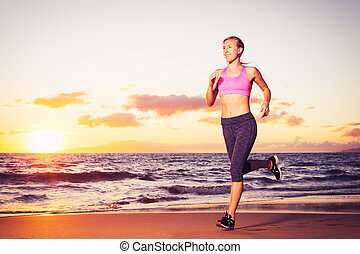 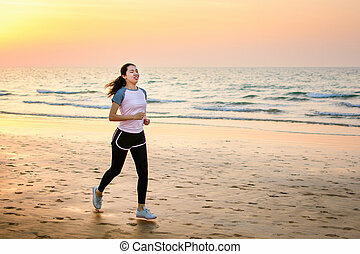 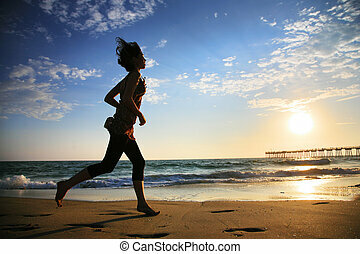 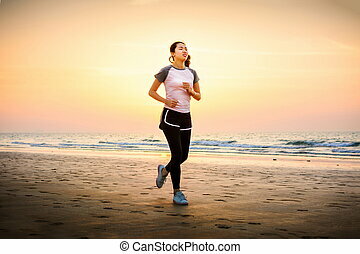 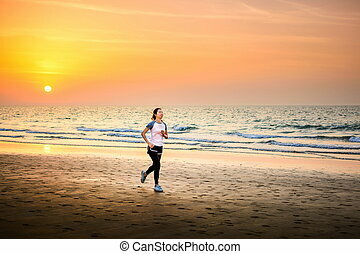 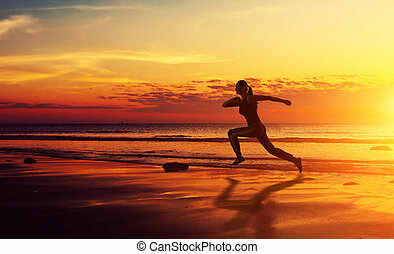 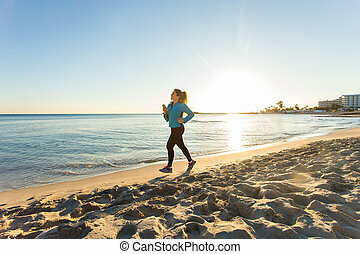 Fitness Woman Running by the Ocean at Sunset.